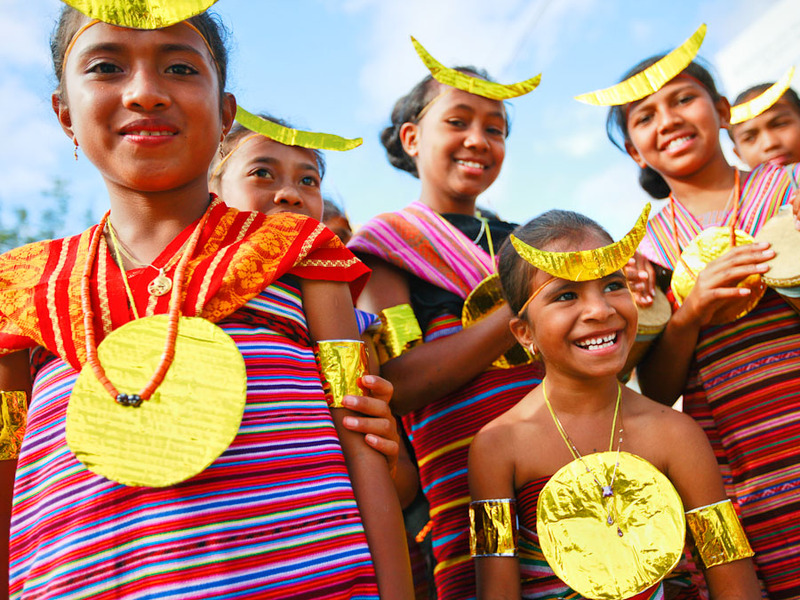 Timorese children in traditional dress take part in a ceremony for the annual International Day of Peace, celebrated last week on 21st September. After years of struggle against Indonesia, Timor-Leste (East Timor) the first new sovereign state of the 21st century sure has reason to celebrate. A small group of mother tongue translators from Tetun Belu – the largest language community on Timor – are also celebrating as their translation of the New Testament is expected to be finished by the end of the year! Pray that people’s hearts will be touched by hearing God speak their language.